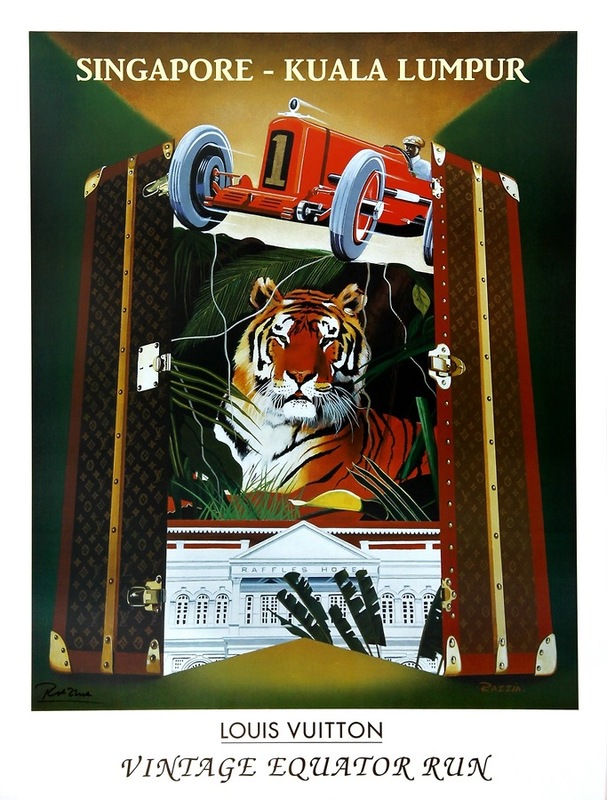 Razzia created his first poster for Louis Vuitton in 1985. This began a two decade journey of creation for the “Art of Travelling With Style”. Razzia and Vuitton are as natural and elegant a fit as a neatly packed Vuitton bag. Highlighting the most prestigious boats and cars used for the Louis Vuitton Cup and Classic, the result is an impressive collection of some of the most sought after and collected posters in the world. “Louis Vuitton: Vintage Equator Run” is no exception.